The Mini Humbucker versus Firebird question is a popular one. Learn the difference between these two vintage style pickups. What are the Best Rock Stratocaster Pickups? 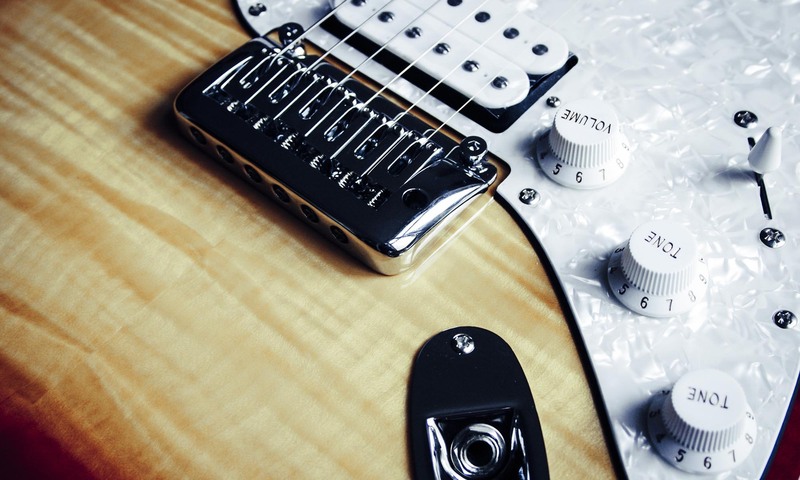 If you’re a Rock or Heavy Metal Stratocaster guitar player looking to upgrade and improve your sound, check out this list of the best Rock pickups for the Strat. Perhaps your guitar tone is getting stale, or perhaps it never sounded that good to begin with. Well, before you buy a new one, review this post and put some thought into upgrading your pickups instead. If you play Rock or Metal through a Stratocaster then this information should be especially useful to you. In making our selections for best Rock Stratocaster pickups, we looked at a number of things. For example, since Rock guitar players are probably going to use a lot of overdrive and distortion, they’ll need a high output pickup capable of delivering a lot of voltage to the amplifier, to push the preamp harder for a better-sounding overdrive. But, lots of overdrive and distortion can also be very noisy, especially in a Strat, with its stock single coil pickups. So, because noise is a serious issue, it’s probably best to use a humbucking pickup. For those who don’t know, a humbucking pickup is two coils working together to cancel out noise and just leave the pure guitar signal, in much the same way a balanced XLR mic cable does. Because a humbucker is two coils, we need those that can fit into a single coil space. Of course, all of the other things that you might look for in a pickup — such as even, clear tone across all strings — are still important. So, all that said, here are what we consider to be some strong candidates for the best Rock pickups for the Strat.